Making the necessary preparations is a normal task to be completed prior to an event, a party or any milestone. But, when it comes to health and life, discussing the necessary arrangements can be quite hard for the entire family. Some may dismiss it while others may put it off. Preparing for what is to come is critical. Creating a living will beforehand should be a priority, especially in old age. A living will is a type of legal document that states the person’s wishes in terms of health care when such patient becomes unconscious or incapacitated due to terminal illness, old age, or injury. With this will, your family will not have to make difficult decisions on their own when you are unable to communicate your wishes to them. The living will serves as the doctor’s and family’s guide to providing you with health care services, including home care services in Orange Connecticut, in accordance with your wishes. How do you create a living will? 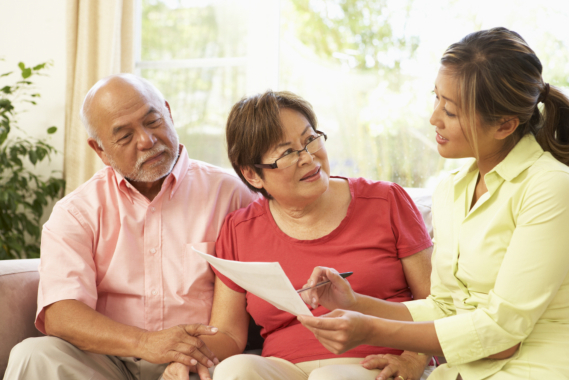 If you have decided to create a living will and save your family the trouble of making critical health care decisions for you, keep the following general tips in mind. Hiring an attorney is best. You cannot just create any living will. It has to meet the requirements of your state. While you can surely make the will yourself, an attorney has a full grasp of the state requirements and specializes in this type of situation. This legal professional can help you create a will that is state-compliant and best for you. Identify the options you want. Learn more about the different care options available for the last phase of life. These options may include palliative care or Home Care in Orange Connecticut, depending on what you think you will need. Research about these matters or discuss them with your doctor. As much as possible, be specific about your wishes. Vague conditions can create confusion and can possibly cause further stress or delay in the provision of desired care services. Give copies of your will to certain people. Your family should have a copy of your living will. Your doctor or hospital along with a healthcare agent should also get a copy of this document. Always keep this document in a safe place yet readily accessible to your agent or family when it is required. As time passes, your wishes may also change. You might want to include companion care in Connecticut or another care option to your document. Keep the will updated to your latest wishes. Amity Home Care provides a wide selection of homecare services personalized according to your needs. Give us a call today or schedule your assessment online. This entry was posted in Home Care and tagged Living Will, Palliative Care, Re-evaluate the Will. Bookmark the permalink.